If you are demanding and looking for something special for your house or you want to make some surprise for your friend you found proper place. Welcome in our shop. We are designers and producers of modern home decoration and had prepared for you plenty of interesting products available in many different colors and variations. Hopefully you can find some interesting item which will decorate your interior. If you have any idea to personalize the product just let us know. Remember we are the manufacturer. 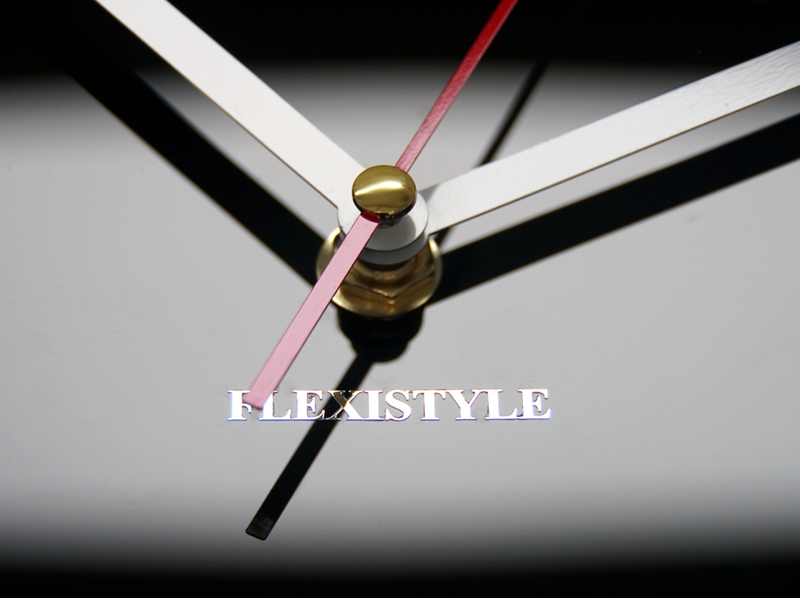 Modern wall clocks and decorative mirrors are our specialty. We are located in Poland however we ship worldwide. We are at your disposal from Monday to Friday 7am to 5pm Europe time. Made of metal with glamorous shiny hands this wall clock is a pure trendy style matching novelty with XIX century style.Ultra silent and accurate clock movement gives the comfort for years. 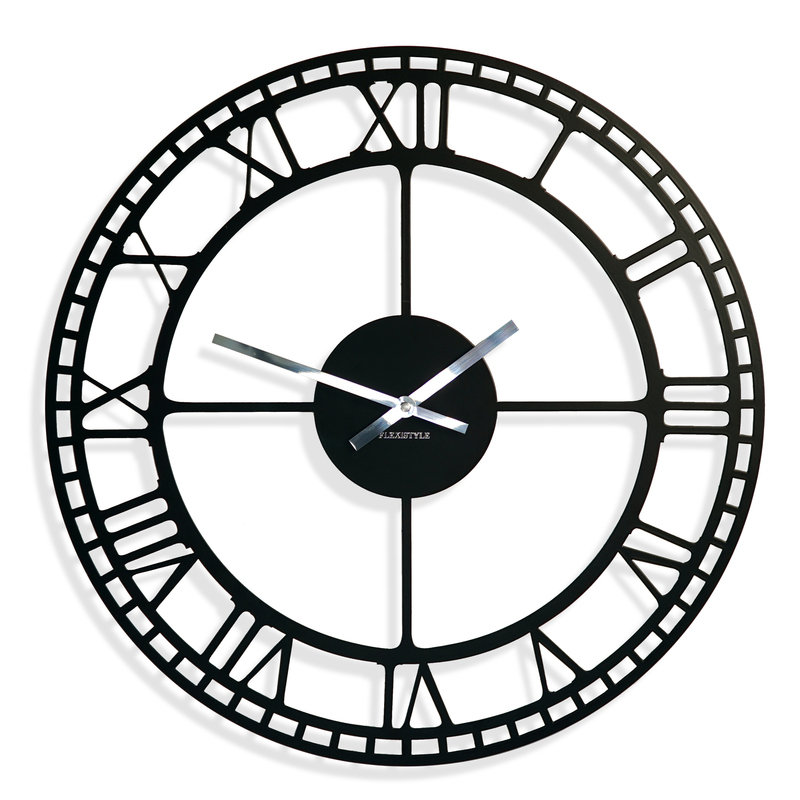 50cm clock dial is easily visible from long distance even in large room or corridor. Decorative mirror beautifully decorates interiors giving them unique and original appearance. As the reflect the light they optically make the room lighter and more lively. Acrylic mirror is relatively easy to shape and therefore we can make almost all kind of patterns. Acrylic mirror is lighter than classic glass one. It is safer because its edges are not sharp. For all decoration strong foam double tape is applied. You can install decoration at most of the walls (we do not recommend to use our mirror at textured plaster or wallpaper). For all patters we add special template and instruction which are very useful during installation. For most of decoration we prepared movies where you can see installation process as well as the real product. Decorative mirror is like jewellery for your interior. Ask us the question if you have idea for your own pattern. The shipment is realized 24h after the order is placed. The shipment is made worldwide. You can return the item up to 30 days after purchase. 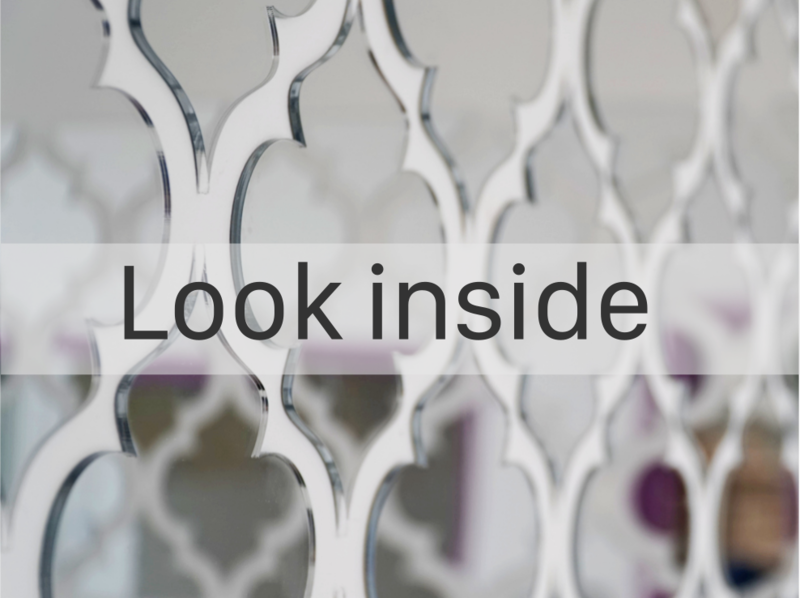 If you would like to see our products you can browse our shop or download product catalogues.